Many businesses have been built over casual lunch conversations. Genifer Murray’s partially unraveled during one. Last August, Murray went out for a bite to eat with a friend who was hosting a marijuana industry conference in Vancouver, Canada, that she was attending. During the meal, her friend made a poignant observation: Murray was depressed and seemed consumed with stress about her marijuana testing business, CannLabs. 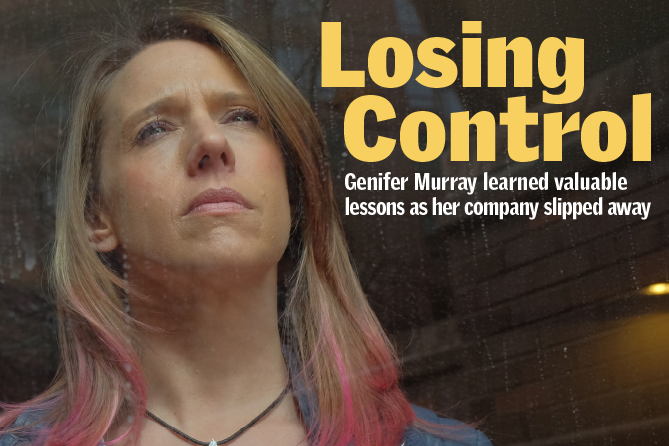 Murray realized she needed to walk away from the company she had poured her heart and soul into over the past five years. It was as quick and decisive as flipping a switch. But it had been coming for a while, as Murray had watched her control over the company rapidly slip away after she brought on a new investor. “It was really at that moment that I decided to move on, that CannLabs was dead to me,” Murray said. Murray planned to stay on until several regulatory issues the company ran into were resolved. That never happened: Less than a month and a half after her epiphany at lunch, Murray was essentially forced out of the company anyway, in large part because of a reverse merger she had agreed to about 15 months earlier. 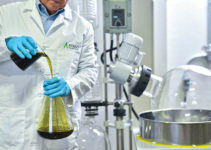 Murray had initially supported the reverse merger – which essentially made CannLabs a publicly traded company on the over-the-counter markets – to raise money for an expansion. But the decision backfired in a major way. Although she had been looking to leave, the split was not exactly amicable. In filings with the U.S. Securities and Exchange Commission, Murray and other CannLabs executives pointed fingers at each other, with both heaping blame and accusations galore on the other side. The CEO, who was brought on in 2014 after the merger, and board of directors claimed that they terminated her for cause, including breach of fiduciary duty and disclosing confidential information. Murray shot back that the allegations were “untrue and defamatory,” and alleged misconduct on the part of the CEO and another board member. Regardless of what actually went down, Murray left the company she founded and was forced to start over in the cannabis industry from scratch. Murray is candid about the lessons she learned from the ordeal and the mistakes she made along the way. Her desire now is to help others avoid a similar fate, even as she still tries to put all the pieces together and figure out exactly what went wrong. Murray founded CannLabs in 2010 in Colorado with a partner, just as the state’s medical marijuana industry started to boom. The company didn’t exactly come roaring out of the gates: Its monthly revenue averaged about $5,000 for the first few years, Murray said. 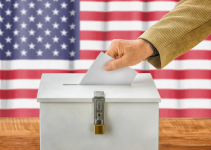 But then Colorado legalized recreational marijuana in 2012, and Murray salivated over the prospect of mandatory cannabis testing for the adult-use market, which promised to boost the client base for labs dramatically. To her, that meant CannLabs needed to expand. So she began looking for investors over the summer of 2013. Surprisingly, she couldn’t find any at first. That changed on April 4, 2014, when her business broker at the time introduced her to a Dallas-based investor who proposed a reverse merger with a company he controlled. Hoping to position her company well for the long term, Murray agreed. But things started to go south almost immediately. Murray had been working with a business broker who planned to perform a background check on the potential investor, which is standard practice for companies considering such an arrangement. Murray, however, claims the investor convinced her and her partner to cut the broker loose – without paying the broker a sizable fee she was owed for helping set up the deal between the investor and CannLabs. The investor “poisoned us” against the broker, Murray said. In retrospect, that should have been a major red flag. Looking back, Murray says she should have questioned the investor more on why he wanted the broker out. Perhaps, Murray thinks now, she should have even set up a conference call with all parties involved to hash out the issues. “Don’t judge a book by its cover, but that’s what I did. He was smart, and he had all the answers,” Murray said of the investor. In the end, the broker wound up suing CannLabs over the fee she was owed, which developed into a story of its own. Murray said the company agreed to a settlement with the broker at some point last year. The next red flag came almost immediately when it was time to sign with the investor, who had pledged to pump more than $2 million into CannLabs. In June of 2014, just before the reverse merger became formal, Murray said the investor changed the terms of the deal. Instead of getting company equity for his money, he turned it into a loan, she claims. But Murray and her partner signed anyway, in large part because they had already hired another 10 employees or so in expectation of a big cash influx from the reverse merger. If they had backed out, they would have had to lay off all those new hires. While having her own attorney likely would have helped, Murray said she shouldn’t have gone through with the deal regardless. “If somebody changes the deal at the very last minute without some very good reasons… then walk away,” Murray said. The reverse merger was announced publicly on June 13, 2014 – which marked the beginning of the end for Murray. After the merger, Murray said the new investor took the initiative and hand-picked a board of directors for CannLabs. Murray claims he assured her and her partner that these were reliable, experienced businesspeople who could be counted on. Murray went along with it and only met three of the four new board members after they’d already been selected. She now regrets rubber-stamping the investor’s choices and not doing background research on each of the four members he chose. “I should have asked how he knew all these people, what they had done for him. Then I should have Googled all of them,” Murray said. Now, she calls them “cronies” of the investor and contends that he chose them because they would side with him on any issue if Murray or her partner tried to break ranks. She wishes she had talked to more people in the industry about the situation, questioned the investor’s choices and demanded that board members meet certain criteria. The same lesson applies to Murray’s initial contact with the investor, she now says. She should have been more involved in finding out background details about the investor – such as what his previous business experiences were and so on, or if there were any SEC violations in his past – before agreeing to the reverse merger. If her broker had completed the background check, the entire debacle might have been avoided. Murray said the investor has a checkered past that would have likely sunk her confidence in him and the proposed deal. Being so far removed from the daily operations and the going-ons of the business allowed things to go sideways. “Because I was a licensee and I should know what’s going on in that laboratory, period. And I made a mistake there,” Murray said. Not too long after that, one of Murray’s employees suggested she begin working from home, ostensibly because she was talking on the phone to various attorneys almost every day having proprietary conversations. She thought the idea made sense. In retrospect, this was another big slipup. Murray took a trip to South Carolina over Labor Day weekend last year. Upon her return, she discovered that the locks had been changed at CannLabs’ Denver office. At that time, the company was dealing with a serious issue. After the new investor arrived, according to Murray, the Colorado Marijuana Enforcement Division (MED) cited CannLabs for 44 violations, ranging from improperly displayed employee badges to omitting required testing and inventory information from the state tracking system. Murray claims a CannLabs executive tried to horse-trade the violations report – which the MED needed in order to resolve the issues – in exchange for Murray’s assurance that she would leave the lab’s state license in place. At that point, Murray said, she had already decided to wash her hands of CannLabs, so it was easier for her to stand up for what she believed in. Murray said she stuck to her guns and refused to concede to the executive’s demand. Looking back, Murray said that was basically the last straw. It was later that same month that she was forced out, and by that point there wasn’t much she could have done to alter the course of the company. “I was just dumbfounded that he would say anything like that. I was like, ‘Oh, my God, you’ve got to be kidding me,’” Murray said. The moral of this particular chapter? “Don’t let anybody intimidate you. You have more power than you think you do,” Murray said. If other entrepreneurs learn one thing from her story, Murray hopes it’s that company founders should never fear falling flat on their faces. “I want the most important lesson to be ‘Don’t be afraid to fail.’ There are so many opportunities out there, that if something doesn’t work out, try something else,” Murray said. When asked what she would have done differently if she hadn’t let her fear control so many of her actions during her tenure at CannLabs, Murray didn’t have a good answer. For her, that particular lesson isn’t as much about the past as it is about the future. The flagship Denver CannLabs office closed permanently in November, roughly two months after Murray’s exit. Since then, Murray has been busy building multiple new businesses, including a cannabis-themed jewelry line called “Gems by Gen,” doing science-based consulting work, and helping a friend with research and development for his edibles company. 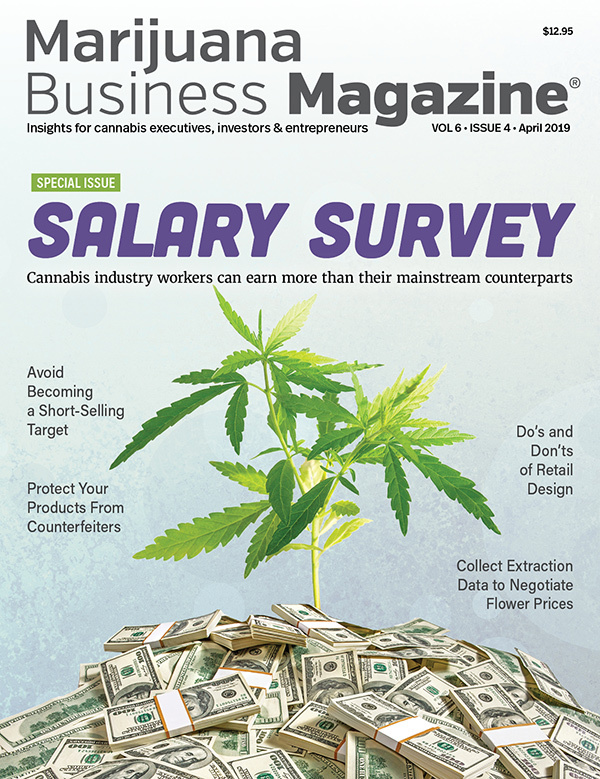 Murray has also assumed a quasi-mentorship role, warning as many people in the cannabis industry as she can about predatory investors ready to usurp entrepreneurs who are eager to find a financial backer. She ultimately was left with no choice but to wash her hands of CannLabs, walk away and cut her losses. That’s another extra lesson Murray now hammers on: Don’t put all of your eggs in one basket. Another tip for a personal safety net, Murray said, is to concentrate just as much on branding yourself as you do your company. In hindsight, that was the wrong approach. However, Murray said she’s already heard from a host of businesspeople who have thanked her for speaking out, with some saying they changed their minds on reverse mergers – which have become quite popular in the marijuana industry – after hearing what happened to her. So she’s been able to turn the entire experience into a positive. As for CannLabs, the company is still in existence, but it doesn’t have any operating labs. It won licenses in Connecticut and Nevada as well, but current CEO Mark Mirken said the company is “in an evaluation period” and looking for new business opportunities. 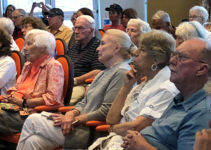 The Connecticut lab was shuttered last year due to lack of business, and the Nevada lab hasn’t opened in part, Murray said, because the license is in her name. The MED violations were never resolved, and Murray said she has a hearing over the matter with the agency in June. As for Murray’s future and how it ties into her past, she’s taken what she can from the CannLabs experience, and though she’ll continue in the marijuana business, nobody in the world could talk her into starting another lab.